Calendar Show producer Jim Gianatsis, center with Best of Show winner Yuichiti Yoshizkwa, and from left: Calednar Girl Music performers Alex Nester and Jaq Mackenzie, Calendar Kittens Kaustin Rose, Daria Dali and Alissa Bourne. 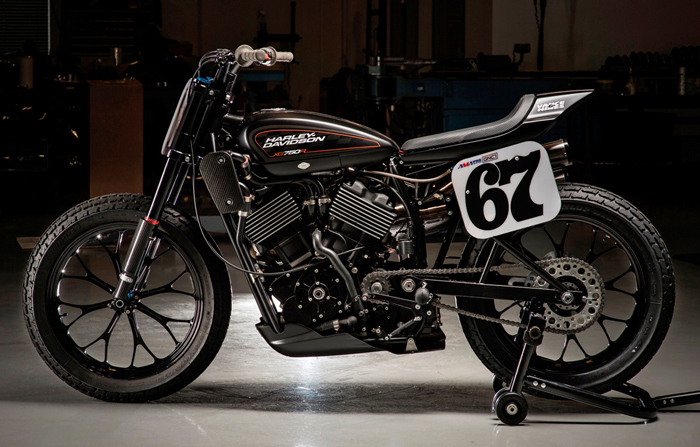 Calabasas, CA, July 23rd, 2016 - Yuichiti Yoshizkwa / Custom Works Zou, flew his bike in from Japan to take Best of Show at the 2016 LA Calendar Motorcycle Show. This was the 5th year in a row that Asian Builders had claimed the top spot at America's premier custom motorcyce show with their unique had craft builds. 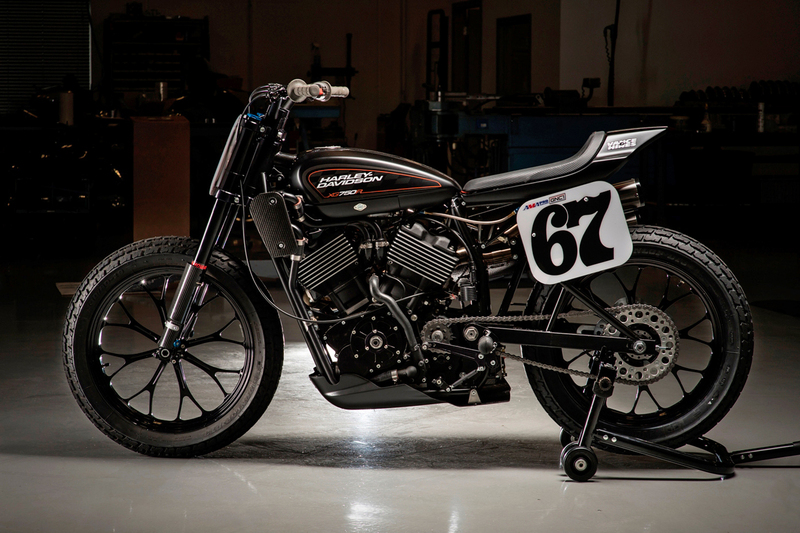 Yuichiti's Cafe Racer themed bike features a front swingarm suspension with its Amrican V-Twin replica Shovel Head fed by a rxhaust powered turbocharger! 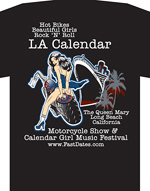 Look for complete coverage if this year's 2016 LA Calendar Motocycle Show here next week in Pit Lane News and on our Bike Show Page. Sachsenring. Germany, Sunday, 17th July 2016 - Conditions had looked to be improving after the Moto2™ World Championship race, but brief showers of heavy rain hit the Sachsenring as MotoGP™ riders waited in the pits. The race was declared wet and flashbacks of the Dutch GP ran through the mind of every rider on the grid. Would it be Miller time again or would Jorge Lorenzo (Movistar Yamaha MotoGP) finally get to grips with the Sachsenring? When racing got underway there were almost no further signs of rain, making tyre choice more important than ever. As the race began Andrea Dovizioso (Ducat Team) and Valentino Rossi (Movistar Yamaha MotoGP) emerged as the two favourites. 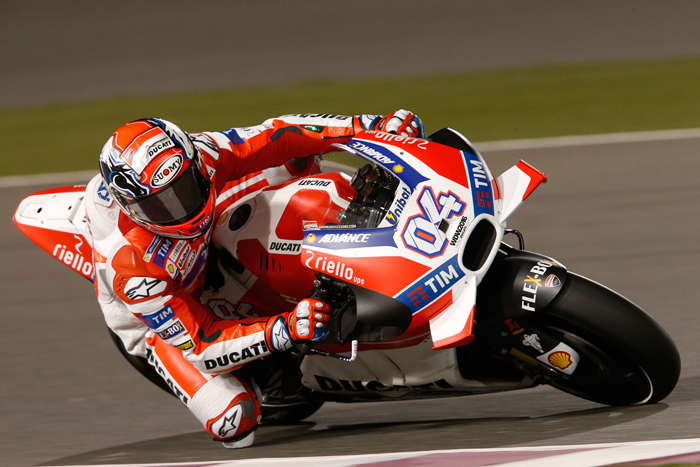 Dovizioso had opened up a lead of almost two seconds as the track began to dry, riders considering a bike change. Andrea Iannone (Ducati Team) was the first rider to pit for intermediate tyres on lap 12. Over the course of the following laps most of the field followed suit, choosing a variety of slick and intermediate combinations. Marc Marquez (Repsol Honda Team) was simply unable to match the pace of the leading riders as the race began, battling with Hector Barbera (Avintia Racing) for fifth. He was clearly struggling, running off at Turn 8 and lucky to stay upright. On lap 17 he entered the pits for slicks. It proved a masterstroke as his lap times were immediately four seconds faster than those on wets leading the race, his pace only getting faster. 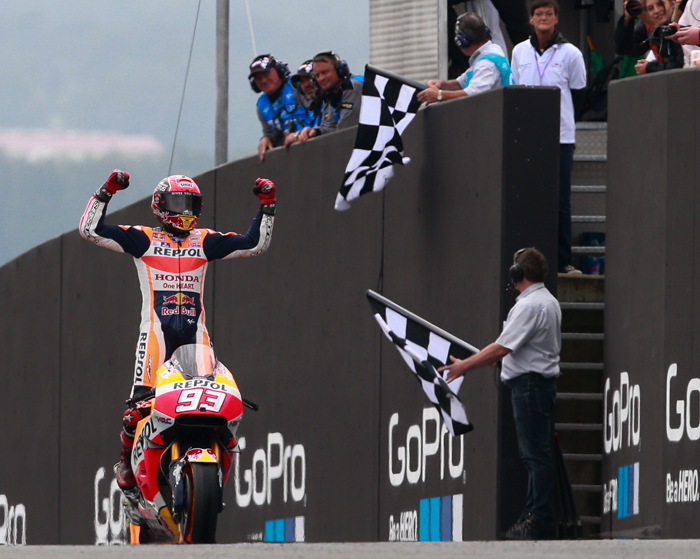 With six laps to go he took the lead and never looked back, going on to take a seventh straight victory at the Sachsenring. His lead at the top of the championship continues to grow, seemingly unable to put a foot wrong. 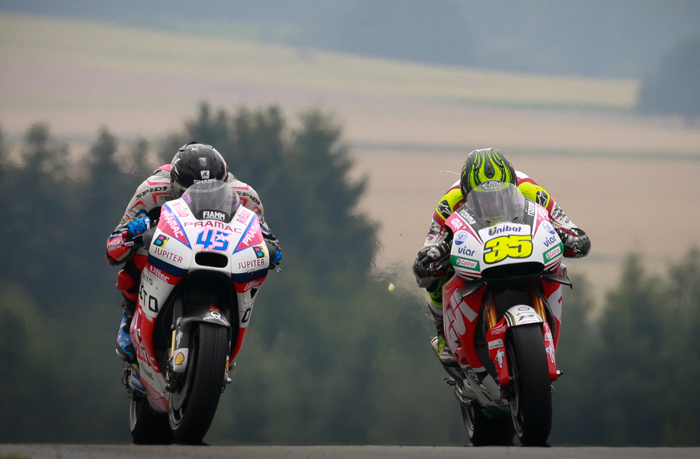 Cal Crutchlow(35) LCR Honda fights with fellow Brit Scott Redding (45) who took 5th on the OCTO Pramac Yakhnich Ducati. Lap after lap the track dried and lap after lap Cal Crutchlow (LCR Honda) got faster and faster. The Brit found himself in fourth on the 19th lap as several riders began to pit, Crutchlow still pushing his wets around. He followed Dovizioso into the pits soon after, re-joining with his former teammate to battle for the podium. Having opted for slicks, Crutchlow found himself right behind Scott Redding (Octo Pramac Yakhnich) and in the hunt for second place. There was no love lost between the Brits, Crutchlow breaking Redding to secure second place and return to the podium for the first time since Argentina in 2015. Known for his ability in the wet, Andrea Dovizioso shot straight into podium contention as the race began, pressuring for the lead. ‘Desmo Dovi’ sat behind Danilo Petrucci (Octo Pramac Yakhnich) for several laps, gifted the lead when the Italian fell on lap 11. He continued to forge ahead on wets, his lead rapidly depleting. After multiple laps struggling on wets he finally made the call to pit, prompting every rider behind to follow him. The group re-joining to battle for third place, unable to match the pace of Crutchlow the factory Ducati man did well to pass Redding on the final lap and take his second podium of the year. The disappointment was clear to see on Scott Redding’s face after holding onto third until the very last lap. Fourth is still a great result for the Brit, his second best finish of a year plagued by technical issues. Like Redding, Iannone opted to switch to intermediate tyres and while he made progress, was ruled out of the final podium battle and settled for fifth. Dani Pedrosa (Repsol Honda Team) took a solid sixth ahead of Jack Miller (Estrella Galicia 0,0 Marc VDS), the Australian the last to swap tyres. Valentino Rossi (Movistar Yamaha MotoGP) was strong from the start of the race but waited until Dovizioso and Crutchlow, with whom he was battling with, had pitted for tyres to come in. As a result he came home in eighth, closing in on his teammate in the championship but losing out to Marquez once more. 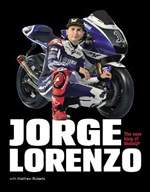 Jorge Lorenzo’s (Movistar Yamaha MotoGP) weekend didn’t get any better. The World Champion was inside the top ten as the race got underway, but as in Assen he began to fade as the race went on and slowly dropped back. It was even worse than in Assen, Lorenzo taking a single point for 15th place. Danilo Petrucci’s reputation as a wet-weather specialist continued to grow in Germany. ‘Petrux’ was on a mission and quickly took the lead, comfortably sitting at the head of the race. That was until he crashed at Turn 3 on lap 11, he pitted for his second bike just as the one he was on burst into flames. He eventually retired from the race, another disappointing end to a race with so much potential. Pol Espargaro (Monster Yamaha Tech 3) crashed while chasing Marquez after pitting for new tyres, ending his run of scoring points in every race. Local rider Stefan Bradl (Aprilia Racing Team Gresini) was forced to miss him home race after a fall in Warm Up. He was taken to the local hospital for a CT scan after suffering a concussion in the crash. 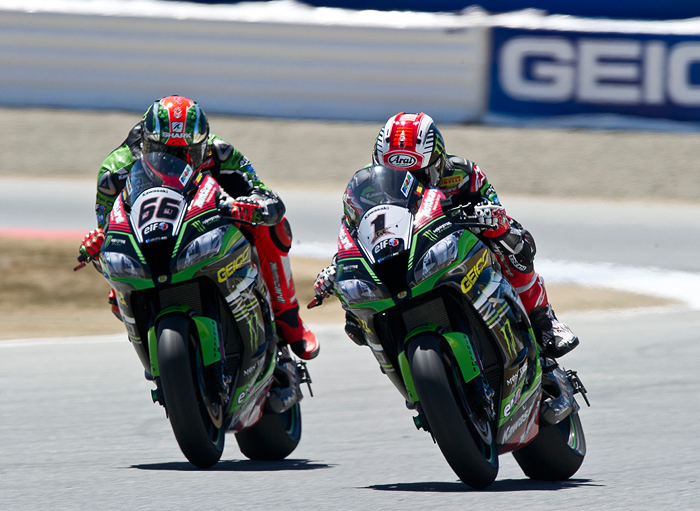 Tom Sykes (66) and Kawasaki team matea Jonthan Rae (1) both carded Race wins at Mazda Raceway. ewo beautiful new Calendar Kittens Alissa Bourne and Kaustin Rose. On Friday afternoon after Practice we shot with all the top factory SBK and AMA Superbikes on Pit Lane in front of the team garages, then for the weekend's Superpole and Race Activities the Kittens served as the offical SBK Starting Grid Umbrella and P odium Girls. 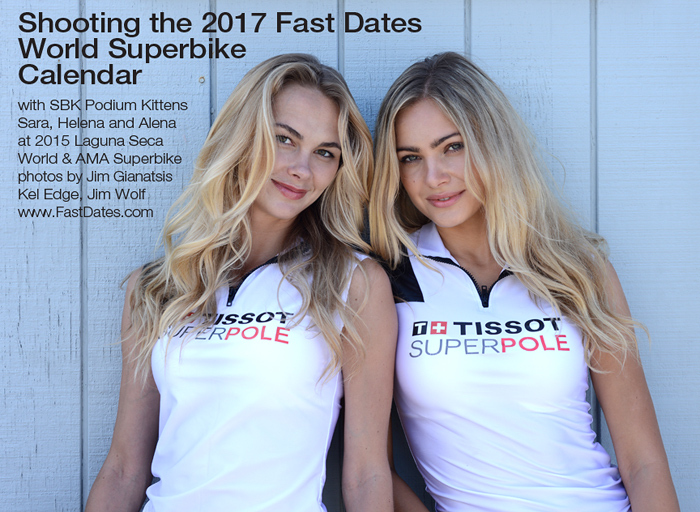 This marked the 22nd year since WSBK first come to Laguna Seca in 1995 that the FastDates.com Calendars have shot the factory race bikes at Laguna Seca World Superbike and provided our Calendar Kittens to serve as official SBK umbrella girls. MV Agusta's Leon Camier with Kittens Alissa and Blake, his factory race bike and a cool custom GP replica. Click to Enlarge. Mazda Raceway Laguna Seca is a legendary circuit in the true sense of the word. Although many of its contemporaries call to mind moments in history, trackside views or a list of high profile names to have made the tarmac their own, Laguna Seca is synonymous with its most famous corner: the Corkscrew. Host to some classic and season-defining overtakes and blind on entry, the Corkscrew is a corner to be conquered. 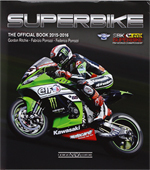 So what’s new as the WorldSBK paddock heads west to California? 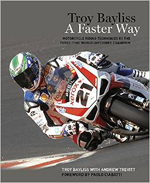 The fastest answer is Nicky Hayden. The 2006 MotoGP World Champion and rookie WorldSBK race winner is heading for the US track for the first time on his Fireblade, and anticipation is high to see the American legend in action. 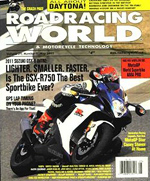 As well as counting two MotoGP victories at the circuit, it also hosted the Kentucky Kid’s first win in AMA Superbike. The track suits the rider and the rider suits the track – added to home motivation for the former World Champion, fireworks could be on the cards. “Everybody is expecting miracles,” says Hayden, wary of the hype – but track records speak for themselves. Jonathan Rea, after pinning down another double at Misano World Circuit Marco Simoncelli in Round 8, is sure to want to put himself up as one of the men in Hayden’s path. The reigning Champion and points leader is also conscious of the need for consistency however, having amassed his lead in 2016 through making sure he has ended each Race on the podium. An impressive feat, and with no previous wins at Laguna Seca sitting on a more than 60 point lead, Rea could roll the dice two ways: play it safe, or go for broke. Rea’s teammate Tom Sykes had a solid weekend in Misano, and the newly re-signed KRT rider now finds himself clear in the chase for P2 in the points table ahead of Chaz Davies – but the gap to Rea grew once again. The season heads into the summer break after festivities conclude at Laguna Seca, and Sykes will be looking to go all-out for glory in California – having already won at the track twice before. Chaz Davies will be another optimist as the Welshman heads long haul once again. The Aruba.it Racing – Ducati rider did the double at Laguna Seca in 2015, and will be eager to repeat the feat on a Panigale R that has moved forward even further. Furthermore Davies, after difficult weekends in Donington and Misano in terms of points scored, no longer counts on the freedom offered to his title rival Rea: the Ducati rider must walk the limit in his quest for the crown, beginning at Laguna Seca and sure to see the 2015 runner-up put everything behind starting to score those wins once again. Honda’s Michael van der Mark could also play a role, having been back on the podium in Misano after some more difficult Rounds - as was Aruba.it rider Davide Giugliano. Althea BMW rider Jordi Torres qualified on the front row at Laguna on his rookie visit in 2015, boding well for the Spaniard, and will be hoping to head his key top ten rivals in the showdown in California – namely experienced MV Agusta rider Leon Camier and rookie Aprilia rider Lorenzo Savadori of IodaRacing, all of whom are fighting to go one further than fourth and get on the podium. Yamaha’s Alex Lowes will be fighting fit at Laguna Seca once again too – ready to push the Pata Yamaha project even further forward. After a cable car tour of San Francisco gets the GEICO Motorcycle US Round underway on 6th July, free practice sees bikes tackle the Corkscrew for the first time in 2016 on the 8th before Hayden lines up to chase his American dream as the lights go out for two more spectacular WorldSBK Races at Laguna Seca. 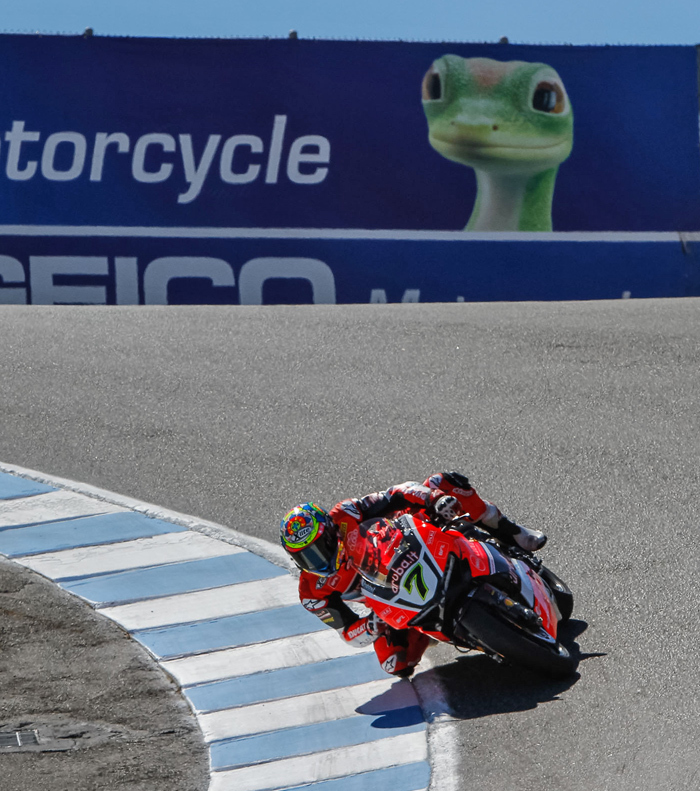 Friday July 8th - Ducati Aruba.it Racing rider Chaz Davies owned the timesheets on Day 1 at Mazda Raceway Laguna Seca, as the Welshman returned to the track on which he did the double last year to lay down a marker as he gets ready to attack the second half of the season. Kawasaki Racing Team rider Jonathan Rea ended the day second quickest with two sessions as a frontrunner on Friday, ahead of local hero Nicky Hayden on the Honda Fireblade, who moved up from P12 to P3 in the last few impressive minutes of the session. KRT rider Tom Sykes was bumped out the top three in the last dash after having had a more difficult morning session but ended the day in P4, ahead of FP1’s fastest man Alex Lowes, who rounded out the top 5 for Pata Yamaha. Davide Giugliano finished up P6 as the Italian returns to a track with some difficult memories after a crash last year sidelined him for many Rounds of the season, ahead of Althea BMW rider Jordi Torres in P7. Lorenzo Savadori was impressive in P8 for IodaRacing Aprilia, ahead of Xavi Forés for Barni Racing on the Panigale R, who ended the day in P9. Niccolo Canepa continued stand in duties for Sylvain Guintoli with another good showing to round out the top 10 for Pata Yamaha. Honda rider Michael van der Mark, after spending most of the morning session at the front, was the casualty of the last minute dash as the Dutchman ended Day 1 in P11 and just missed out on direct entry into Tissot-Superpole 2. 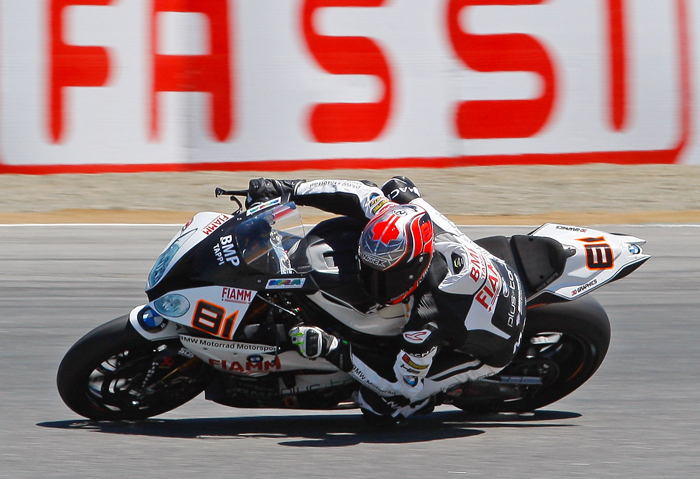 Alex De Angelis was P12 on the second IodaRacing machine, ahead of MV Agusta’s Leon Camier, Milwaukee BMW’s Karel Abraham and second Althea BMW rider Raffaele de Rosa, who is riding at Laguna Seca for the first time as a replacement for injured Markus Reiterberger. Entry to Tissot-Superpole 2 is now decided for the top ten, with the last two spots in the fight for the top 12 places on the grid up for grabs through the Superpole 1 session on Saturday. With a closely packed field, it’s sure to be an explosive battle in qualifying ahead of the two WorldSBK races of the weekend: the lights go out at 14:30 local time (GMT -7) on both Saturday and Sunday as the fight for 50 points begins once again. Chaz Davies - "Being fastest at the end of the first day is always good but we know it doesn’t count for a lot come tomorrow! But so far so good, it seems like we’re on good pace from the first laps and we’re just chipping away. I think we can improve a bit for tomorrow too, and that’s what I’m happiest about." The next morning Saturday, Tom Sykes would win Superpole to earn his seventh pole position starting place of the year, and the 37th of his career. 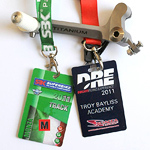 Rea had qualified only 0.055 seconds behind and was second on the grid. Davies would be third quickest and also on the front row. 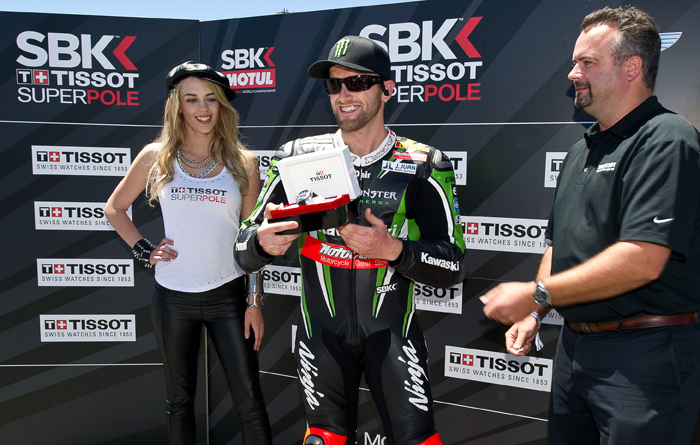 Above, Fast Dates Calendar Kitten Kaustin Rose awards the Tissot Superpole watch to Tom Sykes. 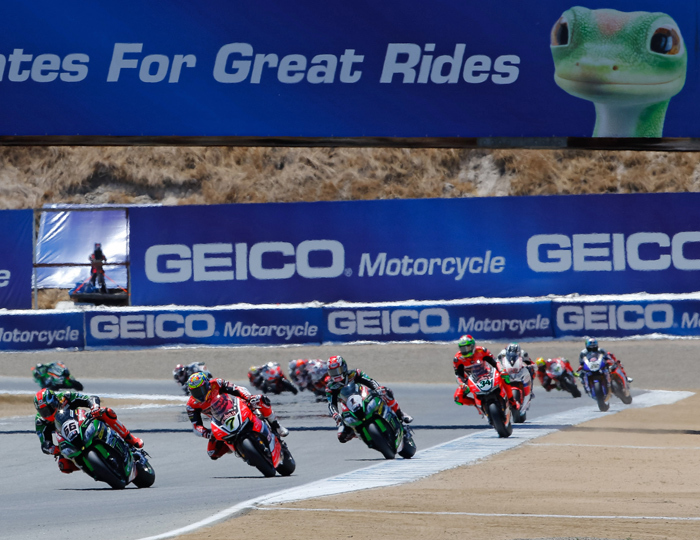 Saturday July 9th - Jonathan Rea has taken his first ever victory at Mazda Raceway Laguna Seca, beating teammate Tom Sykes into P2 with Nicky Hayden coming through under pressure to take the final spot on the rostrum. Tom Sykes got away in the lead from pole, with the Yorkshireman leading Ducati’s Chaz Davies, who got a superb start from the second row to end Lap 1 in P2, ahead of Sykes’ KRT teammate Jonathan Rea. With the front three close together and the second Aruba.it bike of Davide Giugliano leading Honda’s home hero Nicky Hayden in the chase, Davies took the lead with 21 to go with last year’s double winner looking to make it three in a row, before the Welshman pushed too hard on the front and slid off into the gravel at Turn 6, out of contention. With Rea and Sykes closer to Giugliano after Davies’ crash, the reigning Champion then recovered from having gone slightly deep into the Corkscrew and began to put the hammer down. Rea, who has never won at Laguna Seca and was only 0.055 off the Superpole-winning time set by teammate Sykes, showed great pace all weekend at the Californian track and began to pull away from Sykes, until a mistake at the Corkscrew once more saw the Northern Irishman soon lose the lead and forced to do the work again. 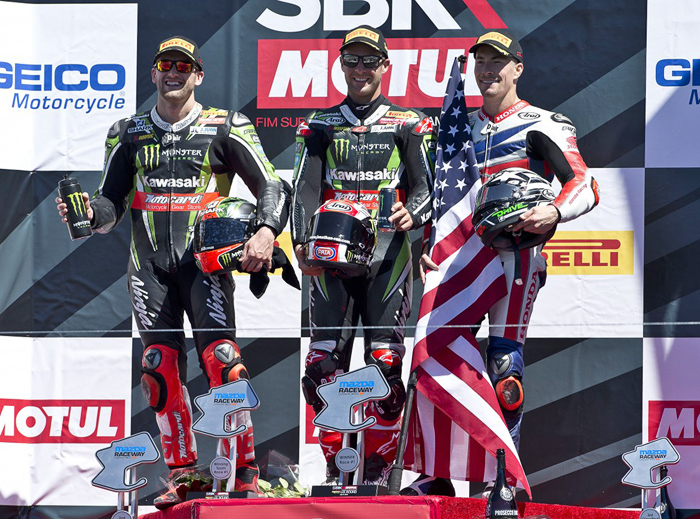 Rea eventually crossed the line over a second clear to take his first victory at the US track, with Sykes in P2 and another World Champion completing the podium in P3. Kentucky Kid, MotoGP Legend and Honda World Superbike Team rider Hayden had warned against expecting miracles at his home venue, aware of the competition around him, but put in a superlative ride under pressure at home to come home in P3, adding another podium to his impressive rookie tally. Hayden’s teammate, 2014 WorldSSP Champion Michael van der Mark, moved up from P11 on the grid to hunt down the frontrunners and cross the line P4 after taking IodaRacing’s Lorenzo Savadori and Pata Yamaha’s Alex Lowes in the latter stages of the race. 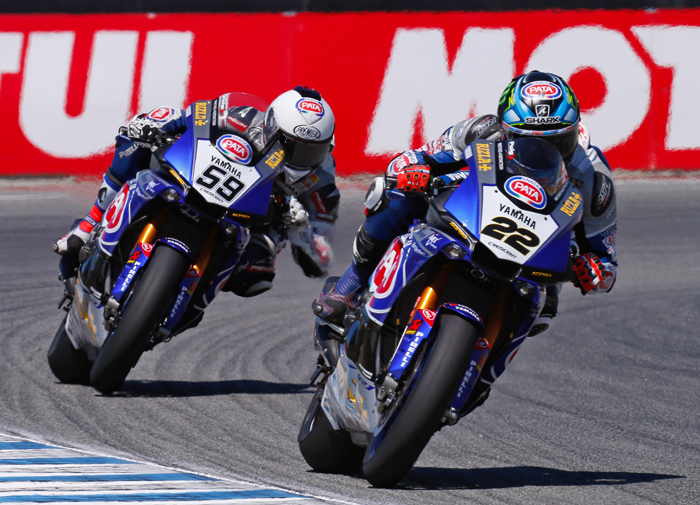 Lowes crossed the line in P5 and Savadori, who had never ridden at Laguna Seca, put in an impressive rookie ride to come home in the top 6, ahead of Barni Racing’s Xavi Forés and Althea BMW rider Jordi Torres. Alex De Angelis on the second Aprilia and Niccolo Canepa on the second Pata Yamaha completed the top ten. Leon Camier moved up one place from his starting position after an interrupted Friday to come home P11, ahead of Pedercini’s Anthony West and the Milwaukee BMW pairing of Josh Brookes and Karel Abraham. Roman Ramos completed the top 15 for Go ELEVEN. Jonathan Rea, 1st - "The best thing about today is winning the Race here in the USA where the passion is so high. It feels like I made some mistakes so I'm quite mad with myself - mostly in braking - so that's something to look into tomorrow; trying to get a bike that's more stable. Tom did a really good job in the beginning to make the pace but we seemed to have the best package today and I'm happy to have brought it home." Tom Sykes, 2nd - "It was very easy to make a mistake and very windy. I think we did a good job at the beginning. I never felt comfortable with the rear traction but still we were able to make some good laps. I was able to regroup but I never quite had the package to fight with Jonathan. Credit where credit's due and tomorrow we need to just find something with the package." 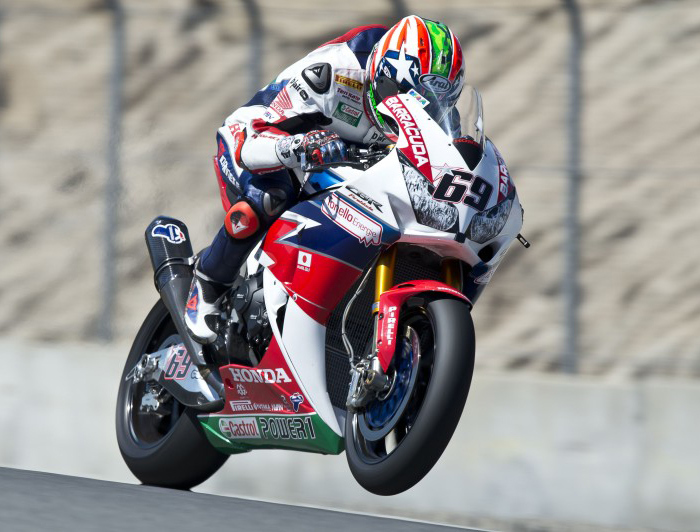 Nicky Hayden, 3rd - “It feels really good to be on the podium. I’m not ecstatic with my race – I had hoped to be faster than that - but you know what? We got on the podium. So thanks to my team and all my supporters – this is for them of course. I hope to be able to put up a better fight tomorrow." 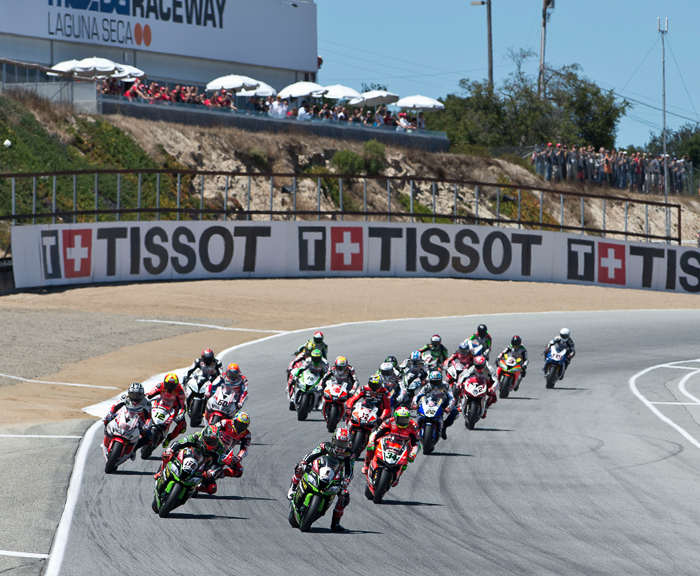 The 4th year of World SBK and AMA Superbike's return to Mazda Raceway Laguna Seca saw the biggest spectator turtnout yet. Despite the offical attendance numbers which alwaystotl up each of the 3 day weekend's attendae, and then inflated by double, we's guestimate this year's attendance was up another 1,000 peoplelast year, to around 6,000 attendace each day for Saturday and Sunday, up from approx 3,000 in 2003. 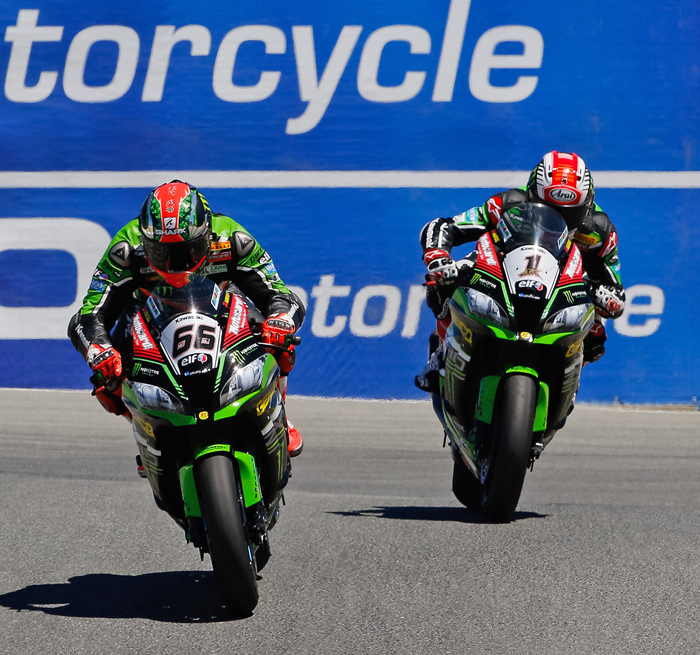 Sunday July 10th - Tom Sykes has taken victory in Race 2 at Mazda Raceway Laguna Seca, heading the Ducati duo of Davide Giugliano and Chaz Davies over the line in a race that would have been impossible to script. With a slight wheelie off the line from Jonathan Rea alongside, KRT rider Tom Sykes kept the lead from pole as Davide Giugliano benefitted from P3 and slotted in behind the Yorkshireman; Chaz Davies and Nicky Hayden the closest challengers behind. Ducati's Giugliano(34) took the lead from Sykes (66) and Rae in Race Two, until a crash on Lap 5 brought out the Red Flag and necessitated a restart. A heated battle for the lead resumed on the restart, which saw Rae run off track and then drop out with bike problems, leacing Sykes to fight off Giugliao and his Ducsti team mate Chad Davies for a narrow victory. The first few laps of the Race saw Michael van der Mark a high profile casualty, with the impressive Dutchman running on and losing control of his Honda before rejoining down the field. Leon Camier then shortly suffered a technical problem that saw the MV Agusta Reparto Corse rider forced to retire, followed by IodaRacing rider Alex De Angelis. Giugliano took the lead on Lap 3, with the two Aruba.it Ducatis sandwiching the KRT pairing of Sykes and Rea, before a fall for Pawel Szkopek brought out the Red Flag. With the restarted Race set for 21 laps, the quick restart procedure soon saw bikes back on track, with Giugliano on pole for the restart from Sykes and Rea, with van der Mark able to restart, but from the final row. The Italian lost the lead off the line to Sykes, before standing the Yorkshireman up and taking it back, with Hayden able to take Rea and move himself up into P3. The reigning Champion fought back however, and set off to hunt down the leading duo. Lorenzo Savadori was a high profile casualty soon after, as the impressive Italian rookie lost his Aprilia and crashed out on lap 3. An incredible tussle down the Corkscrew then saw the Kawasaki duo attack Giugliano and fight it out, before a lap later Jonathan Rea went wide at Turn 6 and ran on – out of the frontrunning battle as he then stopped on track with a technical problem. The lead trio of Sykes, Giugliano and Davies ahead and away, a six bike train of Hayden, Forés, Lowes, Torres, van der Mark and Canepa battled over P4, with positions swapping and the Corkscrew hosting another classic moment as Forés took the inside line after running a little deep, and Hayden refused to be overtaken. An three-way fight for the win ensued with the two Ducatis fighting it out in a modern classic behind Sykes as the laps ticked down, with the Yorkshireman standing firm in the face of incredible pressure from the two red machines behind. As the three crossed the line almost together after the incredible fight, last corner drama ensued for those behind, with Alex Lowes trying to take teammate Niccolo Canepa and sending both off – with Canepa able to at least see the line quickly. Jordi Tirres on the Althea BMW. Forés came home P4 for Barni Racing, ahead of home hero Nicky Hayden in P5, with Torres on the Althea BMW in P6. Michael van der Mark staged an incredible comeback to cross the line seventh, ahead of Pata Yamaha’s Niccolo Canepa as the Italian managed to shoot over the line after the interruption. Anthony West was ninth for Pedercini, ahead of Roman Ramos who completed the top ten for GO EVELEN. Yamaha's Alex Lowes(22) was bested in Race 2 by replacemet rider Nicholas Canepa (59) who was substituing for injured Sylvain Guintoli. Raffaele De Rosa ended his WorldSBK debut in P11, ahead of Karel Abraham for Milwaukee BMW, Grillini’s Dominic Schmitter and a re-mounted Alex Lowes in P14. Saeed Al Sulaiti took home his first point in P15. WorldSBK now heads into the summer break, before the grid get back on track at Lausitzring in September for the final four-Round showdown of the 2016 MOTUL FIM Superbike World Championship. Davide Giugliano, 2nd - "I had so much fun, but it’s been difficult both physically and mentally, because it was paramount not to make mistakes while battling against Chaz. We’ve been both fair and I think we made it fun for people on track and at home. For me, to score a podium here is special because last year my season was put to an end in Laguna Seca and my career was almost destroyed. Yesterday was tough for the whole team, but some small adjustments allowed us to make the most of our current potential." Chaz Davies, 3rd - "It was quite a tight race. It was good to be back on the podium for sure, after a weak start. I got shuffled back to sixth in the early laps, and not just sixth but deep in the pack. I lost a few seconds. So that made things a bit harder. Unfortunately the last few laps didn't pan out as I was hoping but nevertheless it's good to be back on the podium after a tough few Races." Nicky Hayden, 5th - "I’m really disappointed for how the race went, especially for how things were looking before the red flag. At the first start there was a little glitch in the light and I got buried, but I was good in turns one and two and made up a lot of positions. I was feeling more and more confident and just had my best lap of the weekend on race tyres, then the red flag came out. After the second start something happened: we’re not sure what exactly at the moment as the team is still analysing the data, but the bike was completely different. I couldn’t brake as good as yesterday and I lost all confidence. It’s a shame, really, because after the first start I thought I could have gone for something really special." June 1st 2016 - Beautiful New York based model Alissa Bourne and Los Angeles based Kaustin Rose have been selected as the newest FastDates.com Calendar Kittens by Calendar producer and photographer Jim Gianatsis booked through Umbrella Girls USA to shoot the next 2018 edition FastDates.com Calendars during July 2016 at Mazda Raceway Laguna Seca SBK World and AMA Superike Weekend July 8-19th and the LA Calendar Motorcycle Show on Saturday July 23rd at the Sagebrush Cantina, Calabasas, CA. Alissa Bourne is as athletic as she is beautiful, first going from high school to attend the University of Maryland on a Soccer scholarship, graduating with a with a degree in Accounting. But before settling down to a boring corporate office job as an account, this beautiful 5'9" blond who resembles the legendary Marilyn Monroe, thought she'd first give modeling and acting a try, moving to New York where she has found success in both commercial and fashion modeling, and acting. Her credits include an appearance this season on the TV show "Younger" and featured int he interesting short story movie called "Audrey" which can be found on YouTube.com and was recently nominated for the 2016 New York Short Films Awards. Kaustin Rose is from Phoenix, Arizona, and is a huge motorsports enthusiast. She grew up working in her father's business of buying, repairing and selling cars and motorcycles. Having motorcycles parked in the house was just part of the norm for her, and she was always rebuilding car motors with her dad. 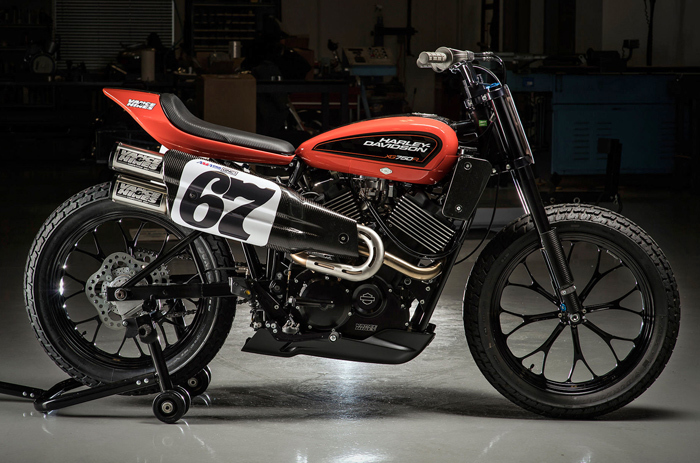 Caustin rode a KTM dirt bike in the desert, and got heavily into building up and driving cars in Drifting competition. But after destroying her Nissan drift car into a wall, and then her new 2012 BMW M3, she tell us she's taking a break from owning cars for a while to "settle down". We hope she doesn't settle down too much, and will keep her driving passion focused on safer race tracks like Mazda Raceway Laguna Seca with ample runoff area where the consequences aren't as serious or expensive. Kaustin moved to Los Angeles just a year ago to get into glamour and fashion modeling. Her credits include magazine covers like Penthouse March 2016. The girls' exciting and busy month of FastDates.com Calendar shoots begin with a drive from Los Angeles up the California Coast on Highway 1 to Monterrey California for the 2016 Laguna Seca USA World SBK & AMA Superbike round July 8-10th to shoot the Fast Dates World Superbike Calendar and will join other Umbrella Girls USA models to serve as official SBK Podium and Gird Girls at Mazda Raceway Laguna Seca. 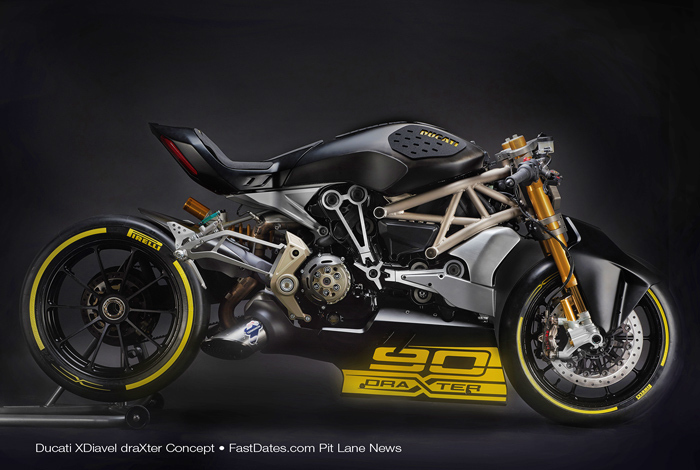 Casey Stoner and Claudio Domenicali have unveiled the bike that marks Ducati's 90th anniversary. Limited edition of 500 bikes with all-new colour scheme and technical content. The 1299 Panigale S Anniversario, equipped with the new EVO Traction and Wheelie Control, also includes a special track kit. Misano Adriatico, Rimini - Italy, July 2nd 2016 - To celebrate its 90th anniversary, the Bologna-based bike manufacturer decided to provide visitors to World Ducati Week 2016 (1-3 July, “Marco Simoncelli” Misano World Circuit) with a special preview of the new 1299 Panigale S Anniversario. The reason for doing so was simply to reward the tens of thousands of Ducatisti who flocked to WDW2016 with a symbolic "gift". 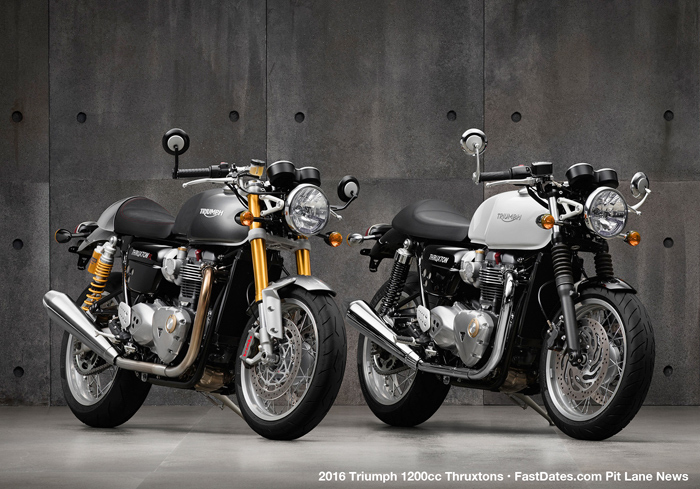 An exclusive bike for an exclusive, knowledgeable and demanding audience. 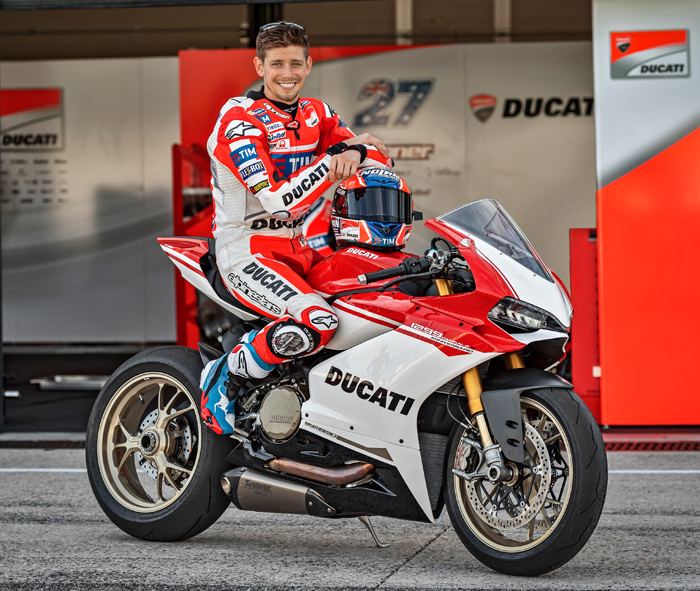 On Saturday evening - during the presentation of the Ducati riders - this audience enjoyed a wonderful preview of the 1299 Panigale S Anniversario on the stage of the Santamonica stadium in Misano Adriatico, presented to them by non other than Casey Stoner. 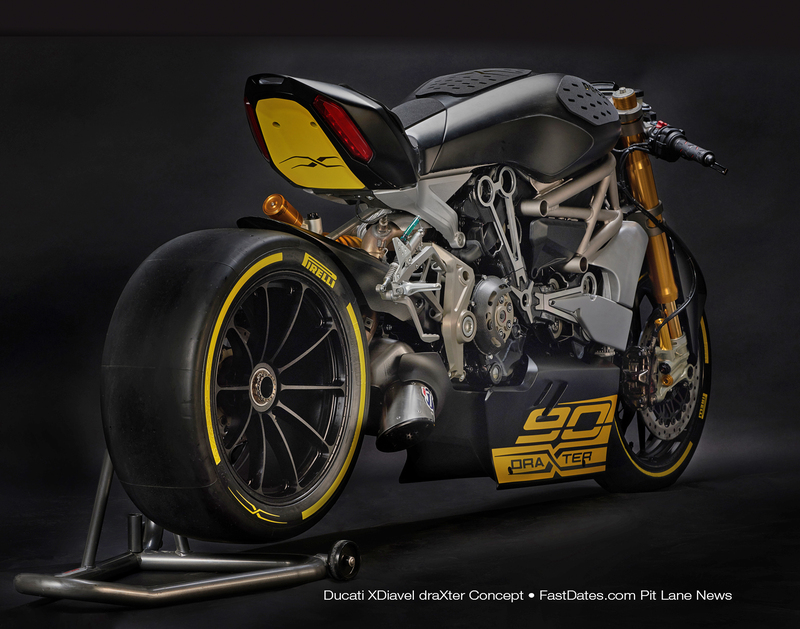 The former MotoGP world champion presented this latest made-in-Bologna gem together with Ducati’s CEO Claudio Domenicali. The limited-edition 1299 Panigale S Anniversario (just 500 bikes will be made) features an all-new colour scheme and technical content. Inspiration for the 1299 Panigale S Anniversario’s colours was drawn from Ducati race bikes. 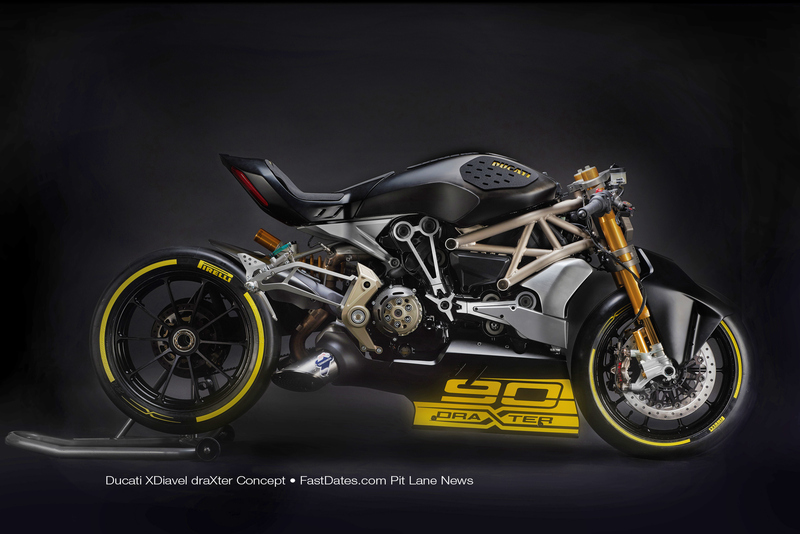 Its white, black and Ducati Red fairings perfectly complement its special gold wheels. Other distinctive features on the 1299 Panigale S Anniversario include its top triple clamp and steering head inserts, both in machined-from-solid aluminium alloy. Each top triple clamp is unique in that it has been laser-etched with the bike’s unique production number of 500. The steering head inserts shift the front wheel forward 5 mm, giving the same chassis geometry as the incredible Panigale R. Moreover, a light lithium battery, together with carbon fibre heel guards, rear mudguard and shock absorber cover reduce weight by 2.5 kg. The electronics on the 1299 Panigale S Anniversario incorporates all-new traction and wheelie control, representing a major evolution of such systems; hence the name Ducati Traction Control (DTC) and Ducati Wheelie Control (DWC) EVO. 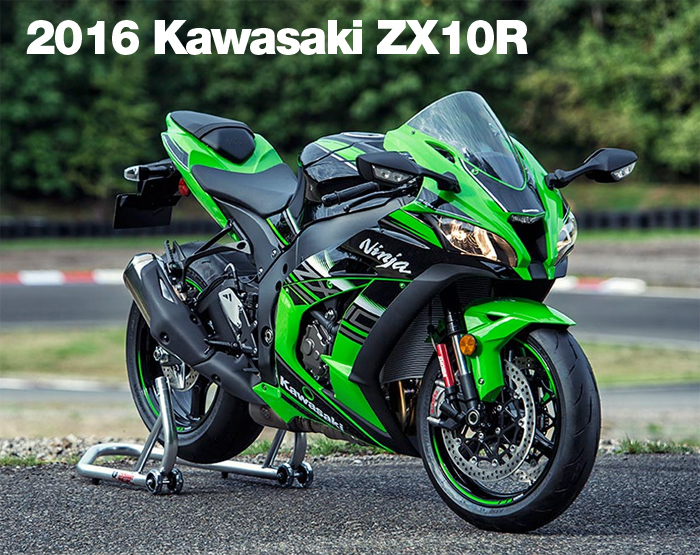 Both systems maximise performance and active safety on the Italian Superbike. In addition to the new DTC and DWC EVO, the 1299 Panigale S Anniversario also features Bosch Cornering ABS, which ensures performance and safety whatever the riding conditions, plus Ducati Quick Shift (DQS) for ultra-fast clutchless up and downshifts on both track and road. 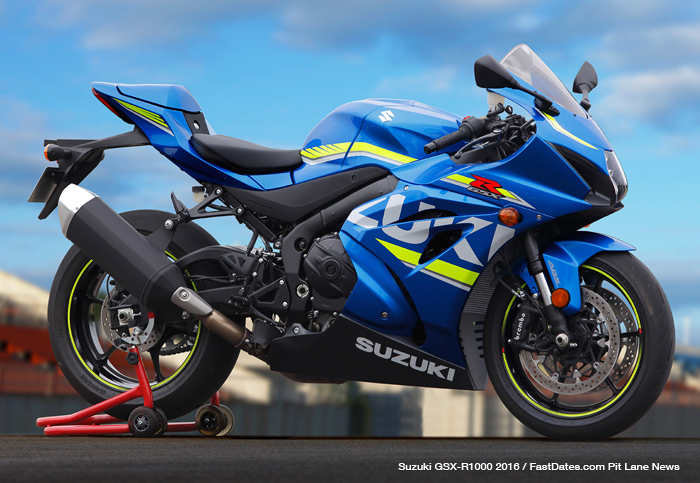 The twin-cylinder, 1285 cc, 205 hp Superquadro engine features Engine Brake Control (EBC), which optimises vehicle stability under extreme turn-in conditions. The suspension department, instead, offers up Ducati Electronic Suspension (DES) and Öhlins Smart EC; the latter is an event-based control system that processes information about the bike and accordingly uses stepper motors to dynamically adjust the suspension set-up during riding, improving cornering grip, stability, braking, turn-in, handling and riding comfort. The 1299 Panigale S Anniversario also features TFT (Thin Film Transistor) instrumentation, as well as customizable Ducati Riding Modes (Race, Sport and Wet) that allow the rider to have tailor-made performance. Like all bikes in the Panigale family, the 1299 Panigale S Anniversario makes excellent use of monocoque frame technology. The compact, enhanced-strength die-cast aluminium monocoque structure features the Superquadro engine as a stressed member of the frame. To emphasise the sports performance of the 1299 Panigale S Anniversario even further, the bike comes with a racing kit consisting of an Akrapovi? Racing exhaust in titanium, billet aluminium mirror blockoff plates, and a cover for the hole created by removing the license-plate holder for track days. Lastly, a battery charger is also provided. The 1299 Panigale S Anniversario will be available from Ducati Dealerships starting in the second half of July (country specific). WSBK, Misano, SAN MARINO, 19 June 2016 - Reigning FIM Superbike World Champion Jonathan Rea and 2013 champion Tom Sykes once more came out on top during the Misano race weekend, with Rea and Sykes replicating Saturday’s race result of Jonathan first and Tom second, albeit in a different kind of race. Rea’s latest win puts him 66 points ahead of his official Ninja ZX-10R team-mate in the championship table, with just one more round at Laguna Seca to come before the long summer break begins. The lead Ninja ZX-10R pairing had the field to themselves almost from the start once again after taking a clear 1-2 on Saturday but this time it was Sykes who did the front running. His lead lasted until lap 17, when Rea put in a pass entering the first corner and held the line on the way out of the chicane. Rea pushed on to create a gap that ended up being 2.963 seconds at the end of the 21-lap contest around the 2.226km circuit on Italy’s Adriatic coast. Realising he would not catch his team-mate before the end, Sykes had eased off slightly to make sure of his strong second place finish. Misano was Rea’s seventh win of the year, and the 36th of his career. 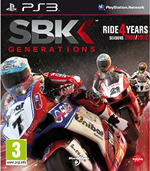 He remains the fourth most successful WorldSBK rider in history in terms of race wins. The second race was held in cooler conditions than Saturday’s opening event, with Rea making a tyre option change that he later said was an important part of his race two winning strategy - particularly when added to chassis set-up modifications that also helped his Sunday cause. Although Sykes’ push at the front could not quite be maintained to the end of the race he still scored another 20 valuable points as he and his team-mate moved further away from their other competitors in the championship standings. 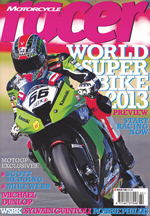 Kawasaki leads the Manufacturers’ Standings by 74 points after Misano. SUPERBIKE RACE ONE, Saturday June 18th - Kawasaki Racing Team’s Jonathan Rea has taken his first victory since Assen in a classic game of cat and mouse at Misano World Circuit, holding off intense pressure from teammate Tom Sykes throughout the Race to cross the line for another win in 2016 – ending his longest drought before moving to Kawasaki. Honda’s Michael van der Mark, after a storming start, completed the podium in P3 as the Dutchman moved back up the grid to where he belongs after a more difficult Superpole 2. A drama filled first part of Lap 1 saw Lorenzo Savadori fall foul of a tussle just behind the front few bikes, with the Aprilia sliding off into the gravel and sadly seeing the Italian rookie unable to finish his first WorldSBK Race in Misano. Chaz Davies was pushed down outside the top ten as Torres, Camier and Savadori got caught up in chaos, and the biggest winners off the line were undoubtedly Honda’s Michael van der Mark and Pedercini’s Anthony West, with the Australian moving well into the top ten. Van der Mark, who pulled through the field with a stunning launch and first lap to cross the line at the end of Lap 1 in P5, then saw Ducati rider Davide Giugliano lowside off the track in front of him, before Honda teammate Nicky Hayden suffered a spectacular trip through the gravel at the final corner. Davies was left with a fight back after having needed to sit up, and Aruba.it teammate Giugliano got going again to also face the uphill battle through the field at the Ducati team’s second home Race of the year, with the Italian eventually coming home in P14. Head down and focused, Davies fought back into the top 5 by lap 11, on course for a good haul of points to salvage from what had seemed a disastrous start and hunting down Jordi Torres to end Race 1 just off the podium in P4. Torres ended Althea BMW’s Race 1 in P5 for the team at home, just ahead of Althea teammate Markus Reiterberger, who debuted as a wildcard at Misano last year and crossed the line in P6 in another good rookie showing, competing a fantastic first Race of the home round for the Althea BMW team. Pata Yamaha’s Niccolo Canepa, riding in place of recovering Sylvain Guintoli, crossed the line in P7 at his and Pata’s home race in an impressive showing, ahead of MV Agusta rider Leon Camier, who after getting tangled up at the start rode a solid recovery for MV at their home Round. 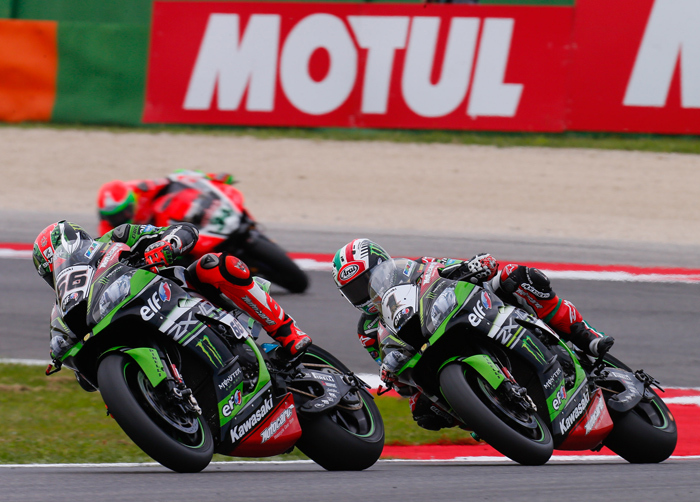 Kawasaki Racing Team rider Jonathan Rea has completed a double at Misano World Circuit, stalking teammate Tom Sykes until pulling away with 5 laps to go and crossing the line with a 3 second margin in an impressive display from the reigning World Champion. Davide Giugliano made amends for a home crash in Race 1 to complete the podium for Aruba.it Racing – Ducati. SUPERBIKE RACE TWO, Saturday June 18th - Sunday dawned in Misano with blue skies despite the threat of rain, and the weather held off for another incredible Race on the Riviera di Rimini. Rea got the jump on Sykes off the line as Yamaha’s Alex Lowes tried to muscle through on the inside of the Yorkshireman, before Sykes swooped around the outside to take back P1 and the KRT duo started to pull a gap on those behind. An early, spectacular incident saw Althea BMW rider Markus Reiterberger highside out of the race on the first lap in a midfield tussle at Turn 8, with the German walking away from the incident unaided. A further fall on Lap 3, this time a lowside for Chaz Davies, then interrupted the midfield rhythm again as Honda rider Michael van der Mark was forced to shut off the gas to try and avoid the fallen Ducati, making contact enough to cause the Dutchman to fall before both were able to get back on their bikes. Van der Mark then faced a fight back through the field, as Davies was forced to pull into the pits. The Dutchman put his head down and pulled back the deficit to the points, then focusing on the top ten and crossing the line in P10. Davide Giugliano, after having suffered a similar crash in Race 1 to that of his teammate in Race 2, began to pull away from Barni Racing’s Xavi Forés in a bid to add another podium finish to his tally in 2016, keeping a healthy gap to the Panigale R behind to cross the line in P3 for some home glory. Forés followed the Italian home in P4 in an impressive ride, ahead Lorenzo Savadori for IodaRacing. Savadori, who has won the last two ST1000 races at Misano, was able to show the potential of his Aprilia after having his Race 1 cut short, coming home in P5 for another impressive rookie result, and a great haul of points at the home Round of rider, team and manufacturer. Althea BMW rider Jordi Torres had a solid ride into P7 in the tightly packed mid-field, just losing out to Honda rider Nicky Hayden as the American took the Spaniard with two laps to go. Alex Lowes came home in P8 for Pata Yamaha at Pata’s home Round despite still suffering the after-effects of his broken collarbone in Sepang, ahead of stand-in teammate Niccolo Canepa, who collected another impressive top ten in P9, ahead of charging van der Mark. MV Agusta Reparto Corse rider Leon Camier, after an interrupted Race 1 followed by an incredible comeback, was sadly unable to finish Race 2 at the team’s home Round after a technical problem caused his retirement on lap 13. Anthony West got more points for Pedercini in P11, ahead of Roman Ramos for GoEleven in P12 and San Marinese rider Alex De Angelis in thirteenth. Milwaukee BMW pairing Josh Brookes and Karel Abraham completed the points positions in P14 and 15 respectively. 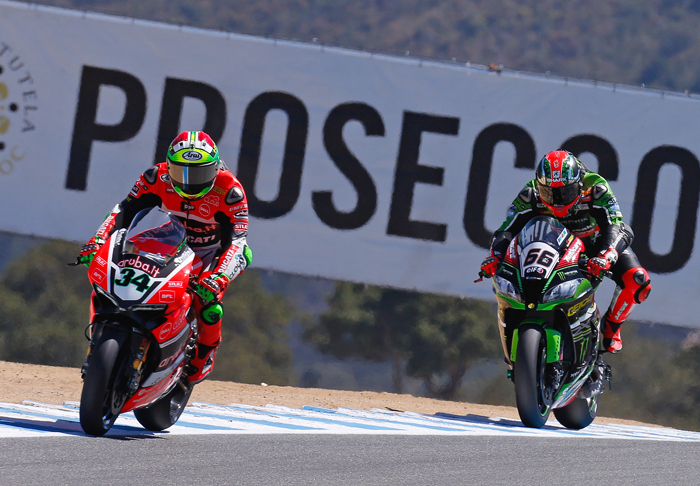 The next Round of WorldSBK will take place at Mazda Raceway Laguna Seca in California, from the 8th-10th July as the paddock prepares to attack the corkscrew. 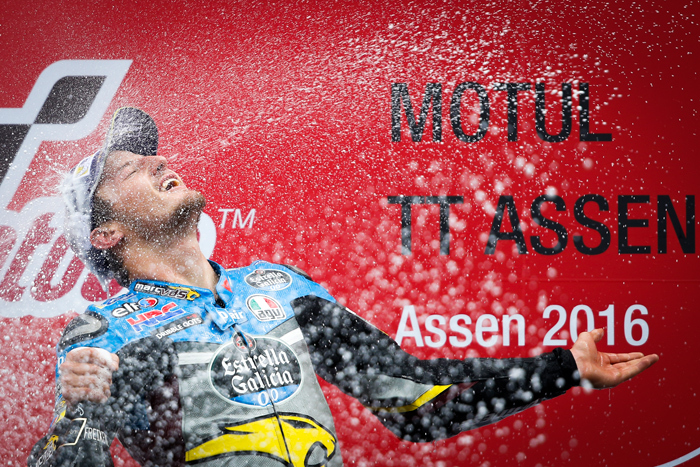 Privateer Jack Miller on the Estrella Galicia Honda won the Assen TT. A red flagged race, then a resart one the rain abetted, put the MotoGP™ riders through their paces, with Jack Miller mastering the wet to take his maiden premier class win. SBK Fast Dates World Superbike Calednar Kitten Petra Ruzickova cooling down between races. April 1st , 2016 - There were reports that MV Agusta, the motorcycle manufacturer with considerable amounts of motorsport heritage, had filed for bankruptcy in its country of origin, Italy. This however isn’t true as the manufacturer, in a press release, says that it is only restructuring its finances. Certain online reports suggest that MV filed for Chapter 11 bankruptcy, which is a type of bankruptcy that buys the company some time to turn its fortunes around, freezing loans and assessing and saving whatever positive assets might remain. This however was a certain website’s way of explaining to its American readers how the section works. 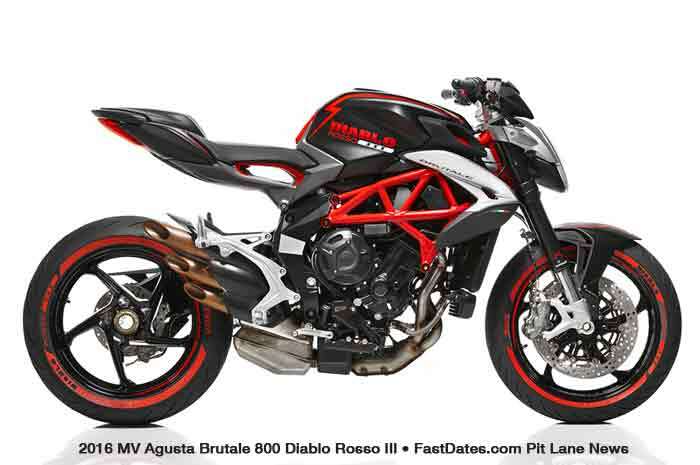 MV, being an Italian company, doesn’t work according to the US bankruptcy laws. 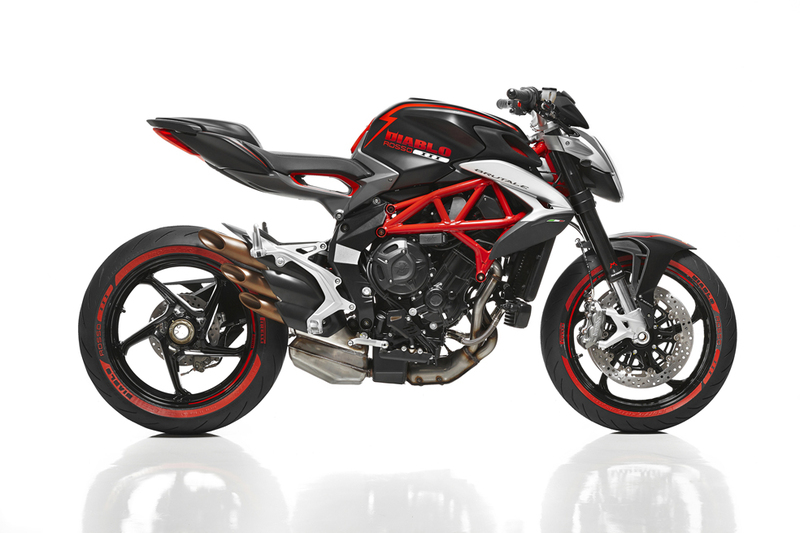 The past two years have proved to be good for MV Agusta, with 25 per cent of the company being bought over by Mercedes-AMG, and with a claimed thirty per cent increase in international turnover. However, this hasn’t been enough to neutralise the debt that the Varese-based company is in. In fact, this appears to be another low in a past that’s been peppered with highs and lows for the motorcycle maker once owned by Count Domenico Agusta. While they once won world championship titles under the Count’s supervision, the company wasn’t able to match the same quality in their production bikes, which in turn led to flagging sales. 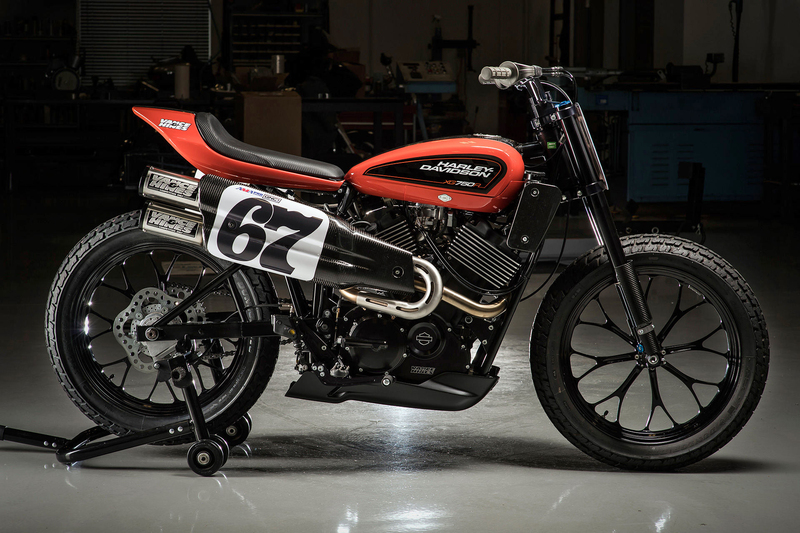 Although an attempt was made to revive the brand by Claudio Castiglioni, after which Harley-Davidson and Proton also tried to get the brand going, once again things didn’t quite go according to plan. MV Agusta today is once again in the hands of the Castiglioni family, with Claudio’s son Giovanni attempting to carry on his late father’s work. They have applied for insolvency and are currently looking to get more financiers on board. 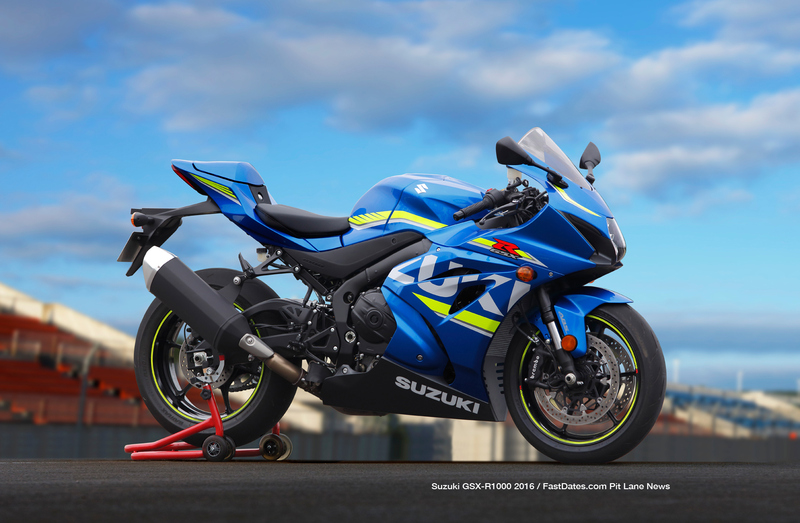 The company also plans to keep its R&D department in place and try and churn out motorcycles faster. It is also in the process of convincing Mercedes-AMG to increase its stake in the company and thereby pump in additional liquid cash. 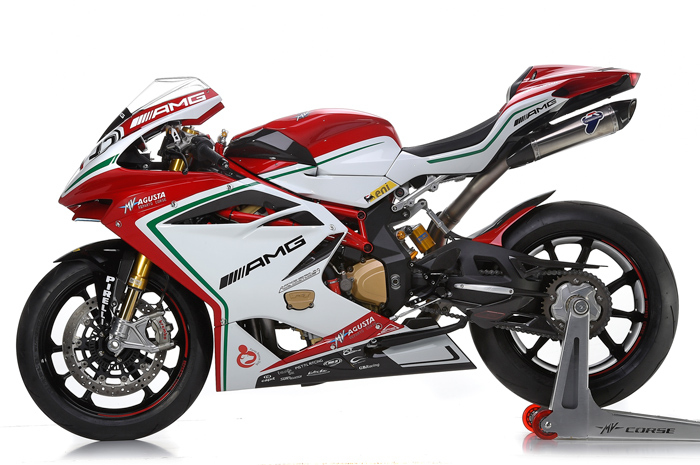 Mercedes-AMG currently hold a 25 per cent stake in MV Agusta. 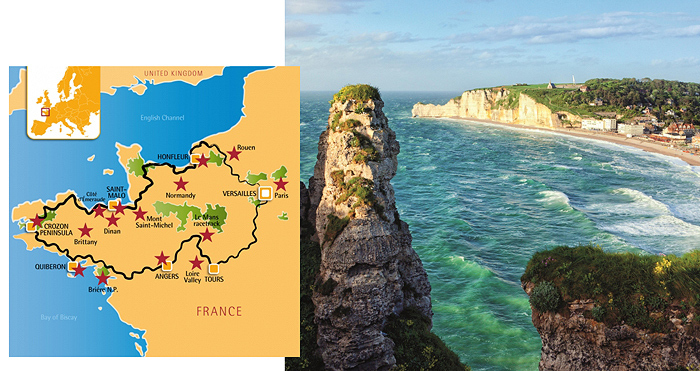 Experience the ultimate tour cocktail: rich culture, great landscapes, picturesque villages and superb riding from Paris, the city of love, to the beaches of Brittany and Normandy. You can also join FastDates.com Editor Jim Gianatsis on the August 10-20th 2015 Tour. Cypress, CA - May 20, 2016 – Defending MotoAmerica Superbike Champion and Monster Energy/Graves/Yamaha Factory Superbike rider Cameron Beaubier will replace injured Pata Yamaha Official WorldSBK rider Sylvain Guintoli for next weekend’s MOTUL FIM Superbike World Championship race at Donington Park, England. The announcement was made by Keith McCarty, Motorsports Racing Division Manager for Yamaha Motor Corporation, U.S.A., and Paul Denning, Team Principal for the Pata Yamaha Official WorldSBK Team. With a couple of weeks off between rounds four and five of the 2016 MotoAmerica AMA/FIM North American Roadracing Championship, the timing was right for Cameron to fly to England and climb aboard the Pata Yamaha WorldSBK YZF-R1. He will be teamed with Pata Yamaha Official WorldSBK rider Alex Lowes next weekend at Donington Park on the Leicestershire border for round seven of the Superbike World Championship. Monday, 02 May 2016 - On the 21st of March it was announced that applications from existing MotoGP Championship teams to provide a 24th entry in the MotoGP class from 2017 would be invited. The deadline for applications was the 29th of April, on which date the Selection Committee, comprising delegates of FIM, IRTA and Dorna would consider the applications. Expressions of interest were received from five teams who were then provided with more comprehensive details of the requirements and the financial conditions. Three teams subsequently submitted official applications for consideration. The Selection Committee considered the applications and concluded that all three had merit and each, in slightly different ways, had elements that could enhance the MotoGP class. However, alongside the application process, discussions were also conducted with the Manufacturers to establish the likely availability of competitive machinery for the extra entry. The conclusion from these discussions was that there was reluctance amongst the existing Manufacturers to commit to making additional equipment available, at least for 2017. It has therefore reluctantly been decided to postpone a decision on the allocation of the additional entry to a later season. FIM, IRTA and Dorna wish to thank the teams who complied with the application process and apologise that the offer has had to be withdrawn. April 18th, 2016 - Ducati announces that it has reached an agreement with current factory Yamaha rider and reigning 2015 MotoGP World Champion Jorge Lorenzo which will see the Spanish rider will take part in the MotoGP World Championship in 2017 and 2018 aboard the Ducati Desmosedici GP of the Ducati Team. Monza Round Cancelled The FIM and DWO would like to announce the cancellation of the 2016 WorldSBK Italian Round that was to be held at the Autodromo Nazionale Monza during the weekend of the 22nd – 24th July. Regarding the changes needed to bring the WorldSBK paddock back to Monza, all the bodies involved have requested the FIM and DWO for the time required in order to further analyze the project, with a view to confirming its feasibility in the near future. DWO would further like to announce that the substitute circuit contract with Vallelunga will not be activated, due to scheduling difficulties and the required modifications to the venue that would enable Vallelunga to host a Round of WorldSBK. At this time, a replacement venue for this Italian Round of the Championship is still being evaluated. Confirmation of both the location and date of the replacement will be provided before the 1st of May, to enable final confirmation of the 2016 WorldSBK Calendar. Losail (Qatar), 19th March 2016 - It is with great pleasure that Yamaha Motor Co., Ltd. confirms that Valentino Rossi will remain a part of the Movistar Yamaha MotoGP team‘s rider line-up for the MotoGP World Championship season of 2017 and 2018. The announcement comes after three very strong years by the most-respected MotoGP rider of all time, since his return to Yamaha in 2013. Rossi has had a very special bond with his beloved YZR-M1 starting from his first race with Yamaha at Welkom Circuit, South Africa, in 2004, which ended in an iconic win. The combination of ’the Doctor‘ and the YZR-M1 has gone from strength to strength since and together they secured four titles and 53 Grand Prix wins over ten seasons. With fifteen brilliant podiums and four strong GP victories in the last year, Yamaha is confident in their partnership with Valentino Rossi and looks forward to being a serious title contender for 2016 and the following seasons.